Throughout my Spotlight! 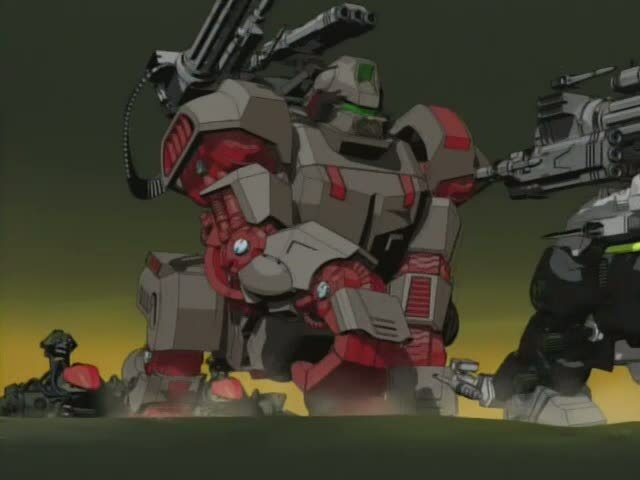 posts on zoids, I have been hinting about some of the more powerful “mechanical combat units” which inhabit Zi. I did not want to spoil anything before I had covered the other wonderful and amazing zoids in the series. But by this point, I have almost run out of zoids which I can describe before I turn to these more powerful mechanical animals. The Redler, as I stated, is not an impressive zoid to me, and this signals trouble. If I consider the Gustav a more interesting subject than a zoid that makes up most of the Guylos Empire’s air force, I need to pull out a trump card or two before I lose focus entirely. It is for this reason that I am going to describe today’s zoid: the Genosaurer. Now, before we go any further, you pronounce it gene-o-saur-er. I have heard the zoids called everything from gene-o-saur-us-es to gen-o-saurs, and I will NOT accept these as legitimate pronunciations of the species. Please bear that in mind for future reference, readers. 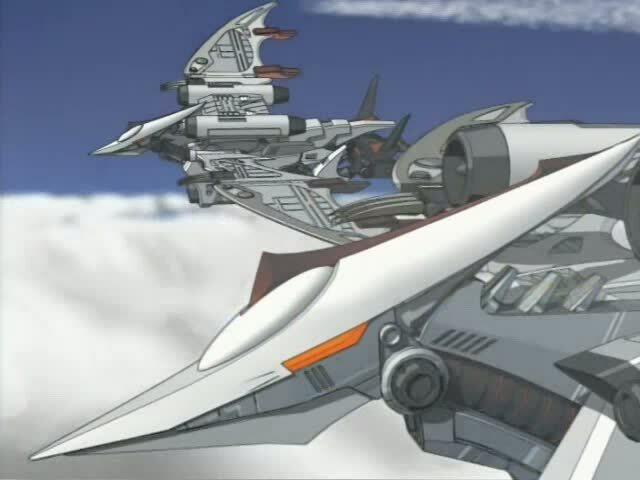 The Genosaurer’s origins are integral to the plot of Zoids: Chaotic Century, and so I will not be saying anything about them here. If you want to know the details, watch the series. I am not giving you any more spoilers than I absolutely have to in this post. The Genosaurer is based on the Tyranosaurus Rex, despite having three claws on each “hand.” The reason it has three claws may be an homage to the Japanese dragon, or it may be due to the fact that the Genosaurer’s claws are attached to cables and can be fired out to grasp another zoid. I do not know the exact reach of these cables, but I do know that they are strong. When the Genosaurer’s pilot “reels” these cables back into the Genosaurer’s arms, they can drag an enemy zoid, even if it is a Blade Liger, in toward the Genosaurer. Though short, the zoid’s arms are flexible enough that, in close quarters, a pilot can lash out with them and slice through the armor of an enemy zoid. Unlike most zoids, the Genosaurer’s cockpit is not in its head, beneath those terrifying red eyes. 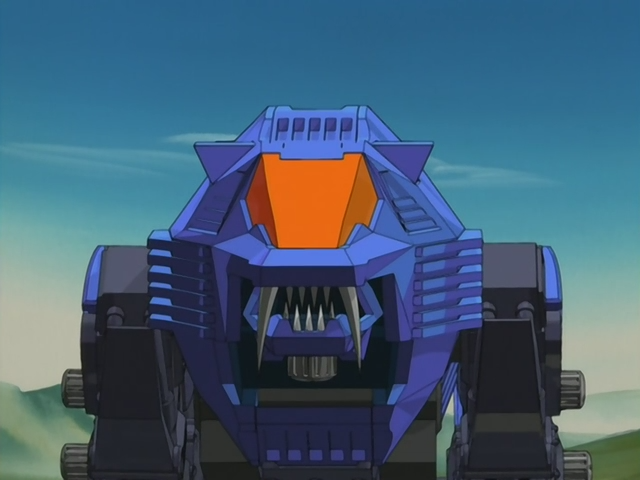 It is in the zoid’s torso or abdomen; the position is relative to the angle of the camera shot, but that is the general area where the cockpit is situated. There is a reason for the cockpit’s position, which we will get to momentarily, readers. The Genosaurer comes equipped with a double barrel pulse laser cannon on its back and a smaller one just above its nose. These lasers can either bring down an opposing zoid or they can do a fair amount of damage to it. The zoid’s teeth can also be used offensively. The Genosaurer’s frame is strong, allowing it to bend over and pick up a smaller zoid in its mouth. It is also strong enough to raise its head with said struggling zoid between its teeth and close its jaws on the part of the zoid it is holding in this manner. When the pilot does this, it is bye-bye time for an opponent. 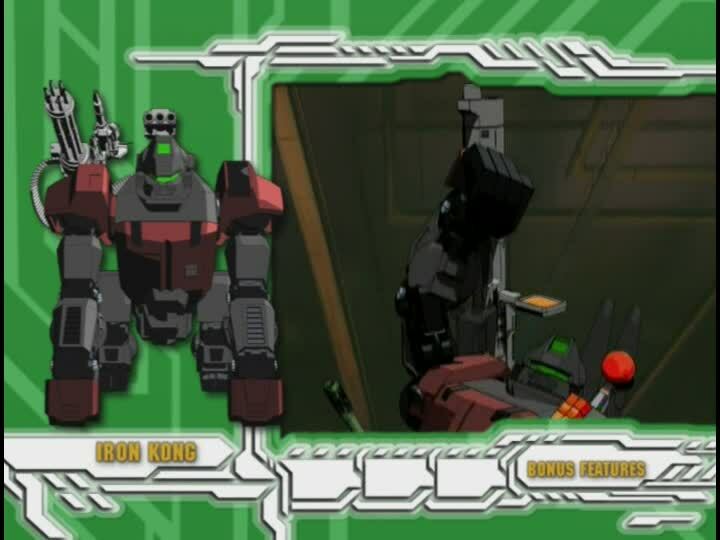 The zoid is also strong enough to go toe-to-toe with an Iron Kong and match its physical power. And the Genosaurer’s tail is a weapon in its own right. Since the zoid is so maneuverable and flexible, its pilot can swing in close to an opposing zoid and slap it with the appendage to send it rolling across the battlefield. The Genosaurer is also capable of kicking a downed zoid across the combat zone. This means it can step on a downed zoid repeatedly and suffer no damage, though it will severely damage or destroy the enemy “mechanical combat unit.” Never underestimate those legs, readers. Part of the reason for the zoid’s speed is that it has boosters in its heels and along the backs of its legs. This allows the zoid to make great time across long distances; with the right pilot, the Genosaurer could travel from Guygalos, the capitol of the Guylos Empire, into Republican territory in a few days or even a few hours. 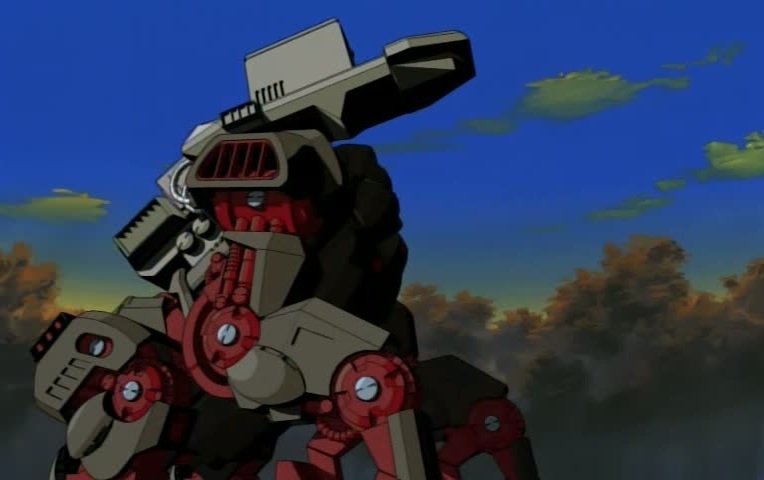 This means that it can outmaneuver most of the zoids it encounters on the battlefield. Only a Command Wolf, a Lightning Saix, or a Blade Liger can come close to or match the Genosaurer’s speed in close combat. When you see the Genosaurer lock down to the ground with its footlocks (those silver “fourth toes” at the back of each foot), the fins in the tail pop out, and the gun slides forward from the back of the zoid’s “throat” – get out of Dodge. The white light that coallesces in front of this gun’s barrel is a ball of charged particles, which can be fired out as a stream for a few seconds. This stream of charged particles will incinerate whatever and whoever is in its path. This is the reason why the cockpit is not in the zoid’s head; there is no room for it and the gun in such a limited space. 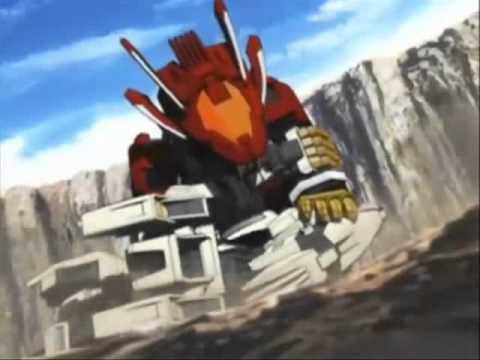 Only Van’s Blade Liger could deflect the charged particle stream after its shield had been modified, first with the Liger’s own extended blades, later with tweaks to the zoid’s shield itself. 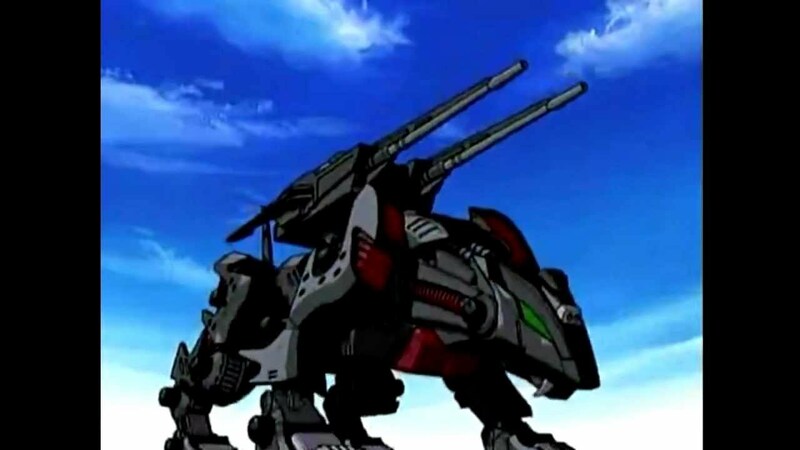 Other shields were no defense against this gun, as Van found out when his first zoid, the Shield Liger, was destroyed by a charged particle blast. 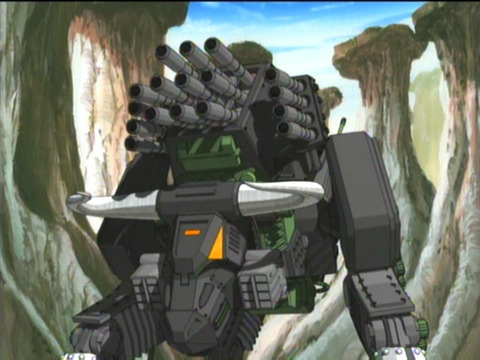 Zoids without shields are utterly unable to defend themselves against this gun. Even air zoids like Redlers cannot outfly this deadly stream of “fire breath” that the Genosaurer can emit at will. There is a catch, however, to using the charged particle cannon, one which I have already touched on. The charged particle cannon’s recoil is so great that the Genosaurer must use those “fourth toes,” known as footlocks, to anchor itself to the ground. Otherwise, the power of the blast would send the Gensaurer skidding backward, and it might throw off its aim as well. The second weakness of the charged particle cannon is that the Genosaurer cannot turn its body when it fires this gun. The footlocks hold it in one position; try to turn the zoid, however slightly, while you are firing this cannon and you will break at least one of the Genosaurer’s ankles. You may wonder how I know that this zoid is capable of so much, readers. The answer is only one word: Raven. Van’s archnemesis, Raven piloted two Genosaurers during Chaotic Century’s run. 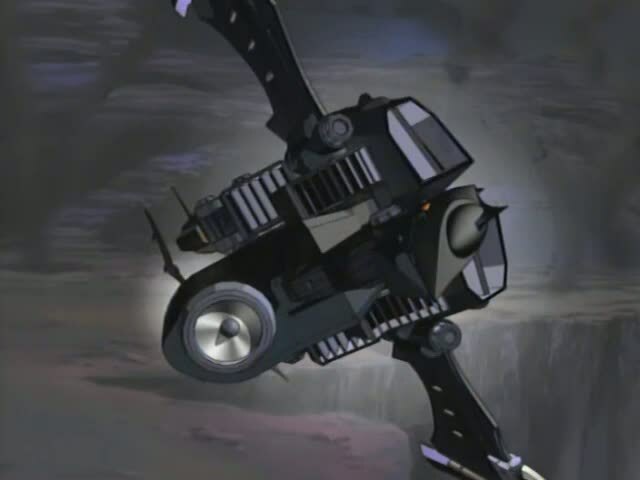 And as I have said elsewhere, Raven was the Winter Soldier of zoid pilots. If you thought he was scary in a Zaber Fang, then let me tell you that you have not seen him scary until he took the controls of his first Genosaurer. And after that, he only got scarier. Though the Genosaurer’s color scheme looks purple to us, the characters in Chaotic Century call it black. Raven’s first Genosaurer had the black/purple color scheme with lighter purple highlights. His second Genosaurer was darker and had red highlights in place of the purple ones. There is a reason for that, readers, but I will not tell you what it is just yet. I am saving that story for later. Also in Chaotic Century, we saw Reese acquire and use a blue Genosaurer. 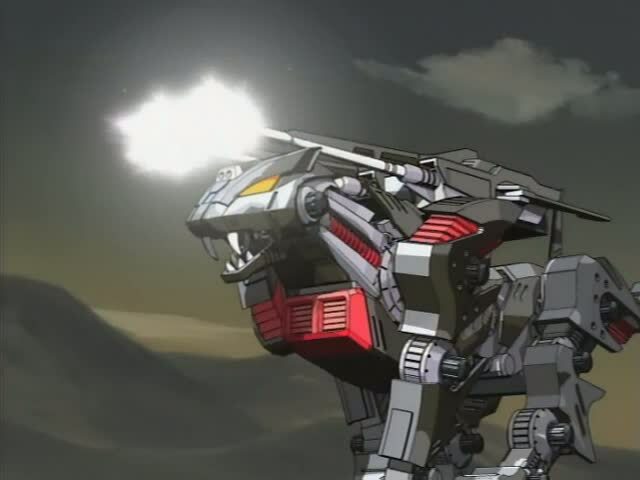 While most of this zoid’s equipment was virtually the same as the weaponry used by Raven’s Genosaurer, Reese’s zoid had a more powerful laser attached to its nose in place of the pulse cannon on the noses of Raven’s Genosaurers. Her Genosaurer also had lighter blue, or perhaps indigo, highlights. Most of Reese’s attire and equipment was blue, so this made sense. In the case of her Genosaurer, however, the color gave the zoid an almost feminine cast. 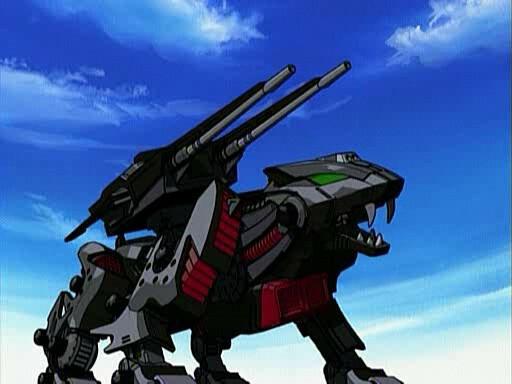 But the black color scheme for this zoid is predominant, showing up again in New Century Zero when a team of unscrupulous pilots were given three Genosaurers by a member of the Backdraft Group. (For some reason, the translators had them pronounce the name gene-o-saur-us-es, which was very irritating.) 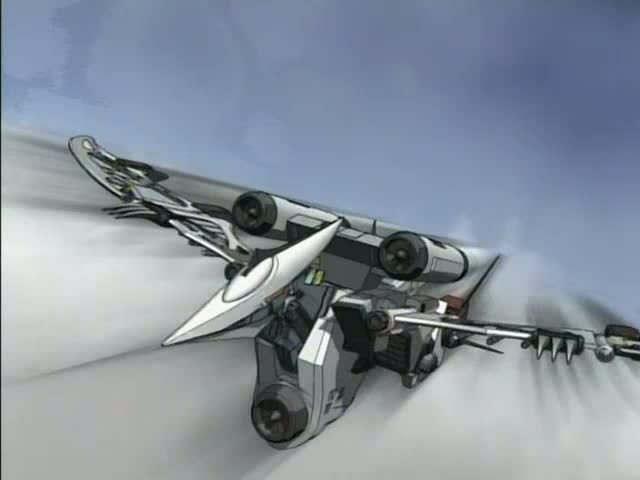 The only other color variant for the Genosaurer was seen in an episode or two of Zoids: Fuzors. That Genosaurer had the regular black armor, but it also had yellow hightlights in place of the expected purple or red. I do not know if that qualifies as intimidating, exactly, but it will certainly get your attention, readers. This is all that I have to say about the Genosaurer. I do not want to spoil too much about Zoids: Chaotic Century and the other series until I have to. And I will have to, soon enough. 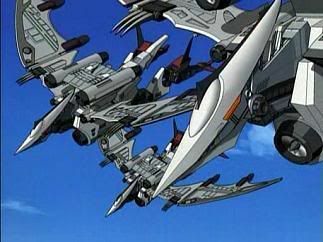 Aside from Zoids: Fuzors and Zoids: Genesis, I can describe almost all of the zoids we see in Chaotic Century and New Century Zero in a handful of future posts. Sadly, we are coming up on that ending sooner than I wanted. I will be able to stretch it out for a while, but eventually, there will not be anymore Spotlight! posts about a zoid here on Thoughts on the Edge of Forever, for the simple reason that I will have described every one which I know about. This is the reason why I keep encouraging you to watch the TV series, readers. You cannot get all of your answers from me if you want to discover the wonderful world of Zi. I will have nothing more to tell you after a point, and you will have to either watch the series to get your zoids fix or forget that they even exist. I would prefer the former to the latter, but the choice is yours, not mine. I can only offer what I know to you and hope I whet your appetite for the adventure. This entry was posted in Spotlight! and tagged Genosaurer, Japan, Japanese Anime, Japanese cartoons, Japanese dragons, Raven, Shadow, Spotlight!, The Genosaurer, TV Seres, TV Shows, Zi, Zoids, Zoids: Chaotic Century, Zoids: Fuzors, Zoids: Genesis, Zoids: New Century Zero on October 18, 2017 by The Mithril Guardian. No, I have not rescinded my punishment for your paying me with the smaller Klondike bars from the squad room vending machines. It is just beginning. I’ve even made a name for this punishment. You know how they have National Sibling Day, National Speak Like a Pirate Day, National Chocolate Day, etc.? Well, I’ve started something similar…. Torture Very Special Agent Anthony DiNozzo Week! What are you complaining about? This is like Garfield’s National Fat Week celebration. And it has your name in it, for cryin’ out loud! You’ve been to the desert. I know you have; I saw that particular case – the woman with the uranium paint. You really ought to take horseback riding lessons, Tony. That aspect aside, do you know what I like about deserts? Not the ones with endless sand dunes but the ones with high canyon walls, narrow arroyos, and plains of red sand? You don’t seriously think I’d go into a desert without water, do you? I’m not that much of a tenderfoot, DiNozzo. Unlike you, that is. What, you may ask, makes me look at deserts this way? 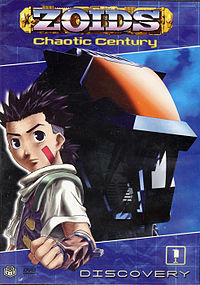 The answer is the Japanese cartoon series Zoids: Chaotic Century. Yeah, I knew you would say that. Be quiet and let me talk! Written and drawn in Japan, the series of sixty-seven episodes (yes, 67 episodes) takes place “in the far reaches of the Milky Way, on the planet Zi.” It was eventually translated into English in Canada and played on Cartoon Network in America in the early 2000’s. It focused on the adventures of fourteen (mistakenly translated as seventeen) year old Van Flyheight. Van is a headstrong young orphan in the care of his older sister, Maria, at the start of the series. He wants to become “the best zoid pilot ever” because of the example of his dead father who was a zoid pilot. Van regularly sneaks away from his village, the Wind Colony, into the nearby desert. One such trip – the first episode of the series – begins with him being chased into a long-ruined military base by a hotheaded bandit about three years his elder. What this young bandit, Bol, is trying to prove matters little to Van. His problem is getting back to the village without the knucklehead following him. Or acing him out when he attempts to escape. Trying to get away, Van is instead chased further into the ruins where he discovers a small zoid in some sort of stasis pod. Okay, wait. I can see that I’m going to have to play dictionary and give you the definition of a zoid. 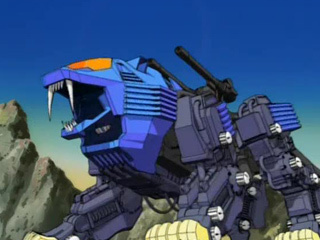 A zoid is a mechanical animal about two or three stories tall (on average) with hidden weapons in its body. A zoid is pilotable; that is, a human can pilot or ‘drive’ it. 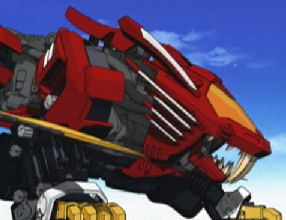 Usually the cockpit for a zoid is a cab situated in the forward part of the zoid’s head. 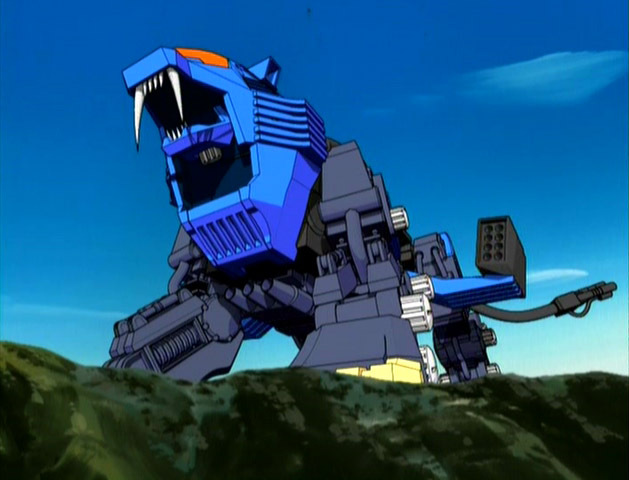 As with height, this feature also varies from zoid to zoid (some have the cockpit in their chests). Most often, though, it is in the head. 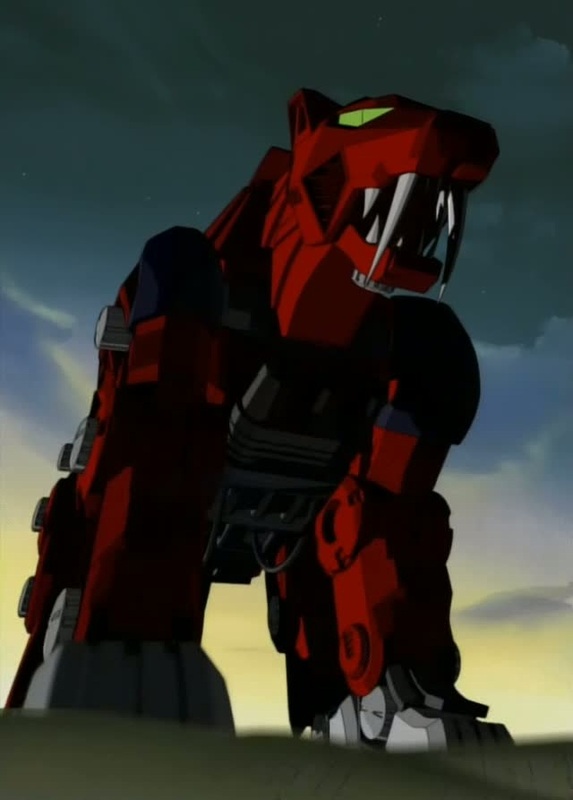 The zoid Van discovers is a dragon/T-rex type nearly six or seven feet tall. No cockpit on this guy! (He and similar zoids are referred to as ‘dragon-type zoids’; this may stem from their three claws on each ‘hand’ and foot. 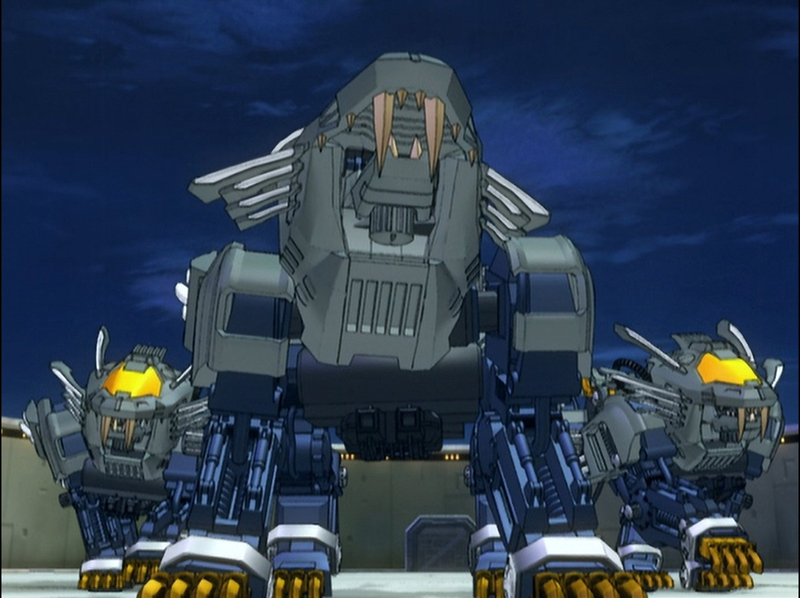 Only Japanese dragons have three claws which is why these zoids would be referred to as dragon-type in this series. At least I think that’s the reason for this description.) 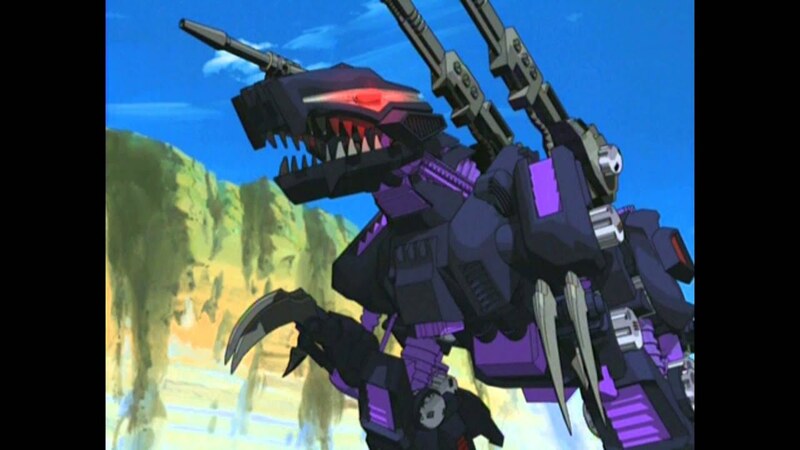 With pink eyes and silver armor, the zoid is initially not friendly to Van since it considers him to be a threat. However, Van’s good nature soon leads the zoid to realize Van will not hurt him. 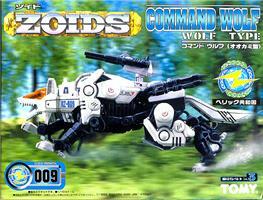 Van dubs this small zoid Zeke, after his father’s white Command Wolf. Ugh, DiNozzo!!! A Command Wolf is – obviously! 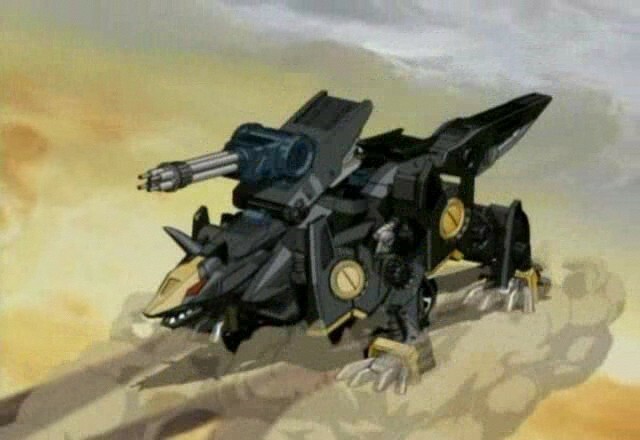 – a wolf-type zoid. Sit down and let me finish!! In order to protect his new friend, Van attacks the blue Guysack (scorpion-type zoid) that Bol is piloting. Quickly overcome, Van believes he is finished when Zeke intervenes –and takes a beating for his bravery. In the Liger, Zeke’s power and Van’s own natural piloting skills allows the two to drive Bol and his partners off. After the bandits leave, though, Zeke returns to the ruins. There Van discovers a second stasis pod adjacent to Zeke’s destroyed casing. He opens it, expecting another small zoid (called an ‘organoid’ because of the ability to merge with larger zoids) to pop out. Instead, when it opens he finds a girl of about his own age inside. I might add that, mysteriously, she and Zeke share the same eye color. Guessing this is her real name, Van calls her Fiona. Some time after this, the bandits attack the Wind Colony to get Zeke. Van again defeats them and drives them off. But with the possibility the gang may return in the future to harass his village, Van leaves home to protect the townspeople from these aggressors. Out in the wide world, Van quickly makes friends and enemies through his strong belief in “the difference between right and wrong” as well as his naiveté. Among the traveling companions he acquires is the transporter Moonbay, a sassy, independent young woman roaming the desert. She carries cargo for whoever will pay her a large sum. Another member of the company is Irvine, a young mercenary who travels with them initially only to steal Zeke. Republican Captain Rob Herman (who arrests Van after an encounter with ‘sleeper’ Guysacks gets the bunch in trouble) also comes to respect the hotheaded youth. (No, he does not travel with Van’s group.) Many other characters also learn to count Van as a friend. Van’s strongest opponent is Raven, an Imperial soldier his own age. A master pilot, Raven is a terror in battle and a scourge to the Republican ranks – so much so that even the Imperials do not trust him. 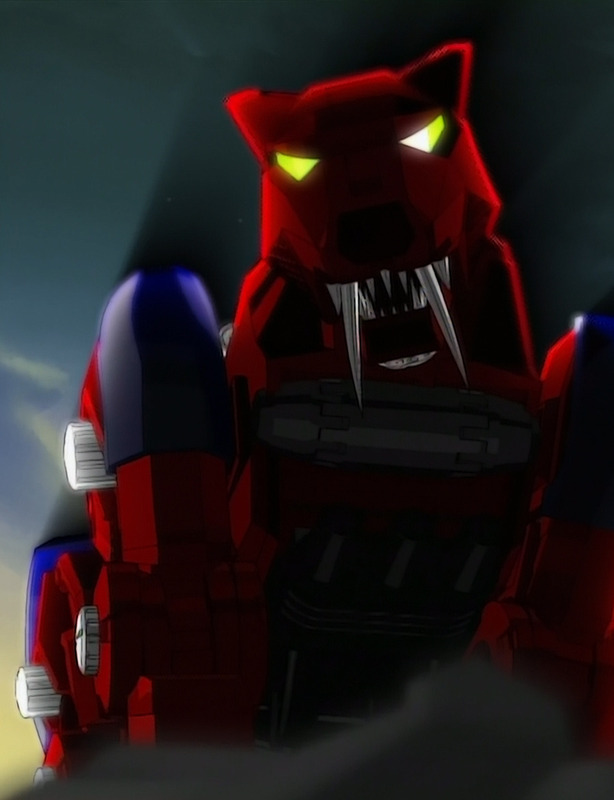 Hating zoids and practically everyone else, his abilities are sharpened to a fearsome degree when his black-armored, blue-eyed organoid Shadow fuses with his blood-red Zaber Fang (a Saber Tooth Tiger-type zoid). Van and Raven battle several times because of these opposing natures: Van’s love of zoids and his friendships versus Raven’s hatred of these machines and condescension toward everyone. Although Raven is Van’s most deadly enemy, he does encounter others. The villains include all kinds, from low-brow bandit riff-raff to the Regent of the Guylos Empire. Van and his friends soon find themselves deep in adventure and peril. The underpinning theme of the series is Fiona’s mysterious past, her capability to communicate with Zeke, and her ability to read the writing of an ancient civilization that once thrived on Zi. Fiona’s past coming back to ‘haunt’ her, and by extension everyone she cares about, eventually takes precedence in the series. When the credits role in the last episode, Van has achieved his wish and become “the greatest zoid pilot ever.” Zi, just like its deserts, is once more open to adventure for all. I like to think Van and Fiona have a lot more fun after the screen goes black, as is proper for any series. Zoids: Chaotic Century seems to take a lot of elements from Star Wars, with the addition of other, less noticeable themes and motifs. 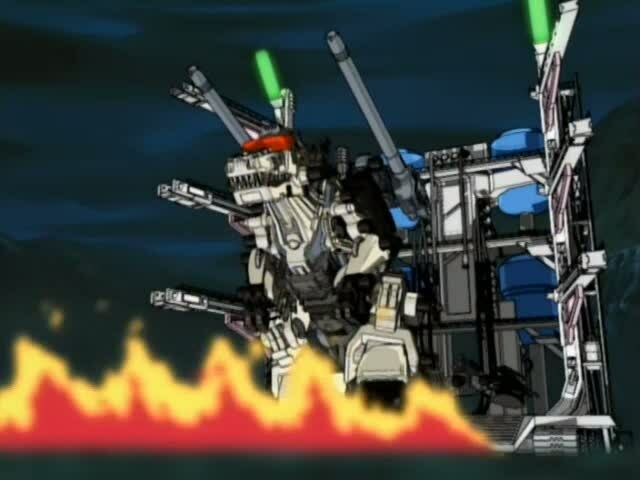 The most prominent idea, and this is what really makes the show, is that the pilots have to fight to ‘reach their full potential.’ Every zoid has the capability to be a stronger and greater creature, a capability that is usually accomplished in battle. This is impossible, however, without the proper pilot. 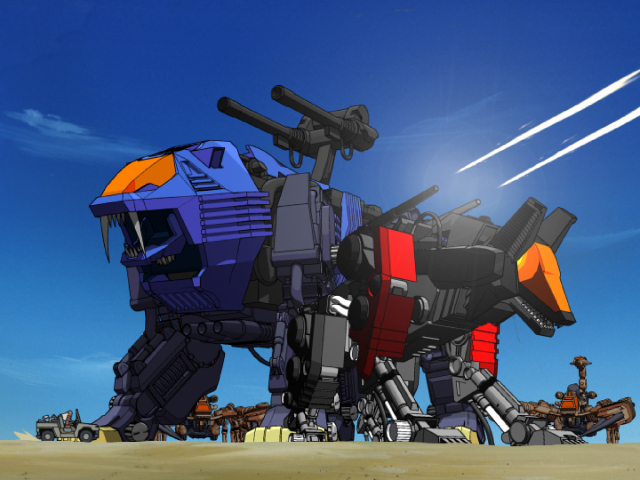 Only as a team can both the pilot and the zoid achieve their ultimate potential. Watching Van get there is a thrill and a million, DiNozzo. You have got to take a look at the series. Altogether Chaotic Century is a very well thought-out, well-executed show. It is no wonder it had three sequel series (Zoids: New Century Zero; Zoids: Fuzors; and Zoids: Genesis). Chaotic Century is so detailed that it demands more stories from Zi. Unfortunately, I don’t believe these three series lived up to Chaotic Century’s legacy. But that’s a topic for tomorrow in this stellar Torture Very Special Agent Anthony DiNozzo Week. This entry was posted in TV Shows and tagged Fiona, Irvine, Moonbay, Raven, Shadow, Shield Liger, TV Shows, Van Flyheight, Zaber Fang, Zeke, Zoids, Zoids: Chaotic Century on August 18, 2013 by The Mithril Guardian.